Hey, Free Minds alums! Did you recently take a great class? Or change jobs? We would love to hear from you. Keep us up to date on your news, educational and otherwise! Capital Idea is a sponsorship program that helps adults living on low-incomes to complete their college degrees by going to school full time. They focus primarily on job training in healthcare, as well as technology and trades. The Regional Foundation Library is a UT organization that provides individuals and non-profits with funding information and assistance. Call and make an appointment to start looking for college grant and scholarship sources. ACC is a great option for students looking to get an associate’s degree or transfer to a four-year college. Here is some information about the associate’s degrees and certificates offered by ACC and about ACC’s transfer services. 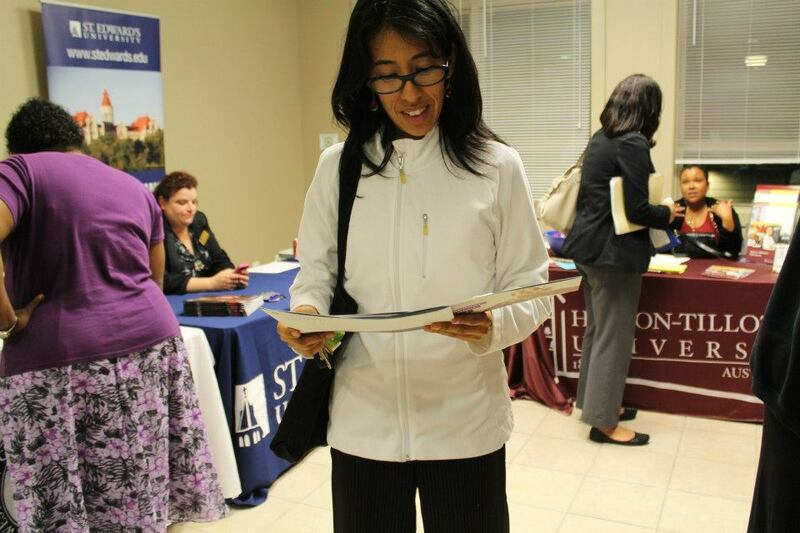 Texas State University in Round Rock has programs designed specifically for working adult students. All of their course offerings are in the evening, and their degree plans allow for extensive online and community college coursework. Click here to check out their degree programs. The New College at St. Edward’s University is also designed for adults with busy lives. They offer a number of undergraduate degrees through their evening program. Concordia University offers an accelerated bachelor’s degree program for working adults, in the areas of healthcare administration, human resource management, business, and technical management. Huston-Tillotson University‘s Adults Degree Program aims to build community through cohort learning. They offer bachelor’s degrees in the fields of business, criminal justice, early childhood education, and psychology. Workforce Solutions Capital Area offers free workshops in resume writing, interview techniques and career services. Check out their workshop calendar for times and locations. Money Management Classes are offered free through Foundation Communities and are available to anyone who lives in a household bringing less than $50,000 annually. You can register for this three session course online or by phone. Reconnect with your inner author and with Free Minds by signing up for one of our writing workshops. Has your reading life been on the wane since leaving Free Minds? Austin Public Library has a variety of adult book clubs to choose from, as does Book People. Catch up on your Shakespeare by catching a free performances at the Zilker Hillside Theater, courtesy of Austin Shakespeare. Stay up to date on UT’s Arts and Humanities events. Click here to sign up for our mailing list! You can find our most recent newsletters at our newsletter archive.